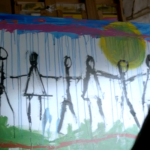 We discuss “The Enemy Within” finale episode, and look at Under the Dome as a whole. 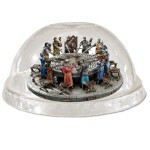 Dome detonates, Big Jim sells ice cubes, and Chester’s Mill residents live happily ever after. Wayne and Troy discuss “The Enemy Within” on the latest episode of Under The Dome Radio! T-shirt fashions, wigs for alien queens, clean cars, and more! Wayne and Troy try to make sense of it all, with help from YOU, the Under the Dome Radio listener community. Watch out for dripping blood on Incandescence. Long live the Queen, death to Aktion, and camping plans. Wayne and Troy discuss “Incandescence” on the latest episode of Under The Dome Radio! Childbirth techniques, murder, and deceit! Wayne and Troy try to make sense of it all, with help from YOU, the Under the Dome Radio listener community. Watch out for spiders on the Battlefield of Love. Baby oh Baby, a Newborn Queen, and Junior pulls one over on dear ol’ Dad. 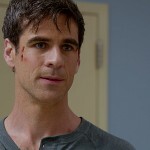 Wayne and Troy discuss “Love is a Battlefield” on the latest episode of Under The Dome Radio! Mass graves, egg varieties, more aliens, and even more kissing! Wayne and Troy try to make sense of it all, with help from YOU, the Under the Dome Radio listener community. Don’t get buried, as we discuss “Legacy”. Guns, baby bottles, and magic musical notes. Wayne and Troy discuss “Legacy” on the latest episode of Under The Dome Radio! Starchild babies, romance, fights, and danger! Wayne and Troy try to make sense of it all, with help from YOU, the Under the Dome Radio listener community. Don’t get sacrificed or kinshipped, as we discuss “Plan B”. Lots of kissing and killing and kinships. Wayne and Troy discuss “Plan B” on the latest episode of Under The Dome Radio! Threats, lies, explosions, rescues, and more! Wayne and Troy try to make sense of it all, with help from YOU, the Under the Dome Radio listener community. 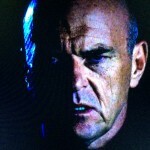 Don’t get blown up or fooled, as we discuss “Breaking Point”. A shiny charged Prius, death, destruction, and deception. 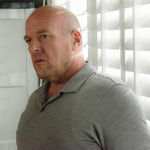 Wayne and Troy discuss “Breaking Point” on the latest episode of Under The Dome Radio! Very unusual alliances form, and Junior tries to kill his Uncle Sam. What could be next? Wayne and Troy try to make sense of it all, with help from YOU, the Under the Dome Radio listener community. Don’t get burned, or cocooned, as we discuss “Ejecta”. Explosions, sunsets, booze, destruction, and even more. Wayne and Troy discuss “Ejecta” on the latest episode of Under The Dome Radio! Chester’s Mill is in disarray! Christine is back in another cocoon. What happens now? 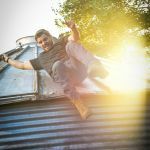 Wayne and Troy are going to make sense of it all, with help from YOU, the Under the Dome Radio listener community. Don’t be claustrophobic, as we discuss “Caged”. 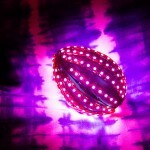 More cocoons, lies, bird cages, a shiny Prius, and More. 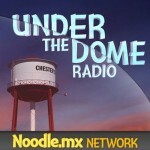 Wayne and Troy discuss “Caged” on the latest episode of Under The Dome Radio! Bird Island almost seems safer, than being in Chester’s Mill! Christine is leading folks to end it all. What is her evil plan? Convert folks to her “army”? Or, to kill them off? Wayne and Troy are going to make sense of it all, with help from YOU, the Under the Dome Radio listener community. Bundle up for “Alaska”. Lemmings, Infections, Goopy Groups, Bird Cages, Lies, and More. 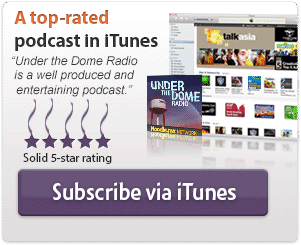 Wayne and Troy discuss “Alaska” on the latest episode of Under The Dome Radio! 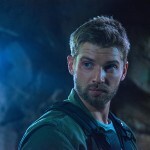 This year’s video direct from San Diego features Executive Producer Tim Schlattmann joined by actors Colin Ford, Marg Helgenberger & Mike Vogel for the Under The Dome Comic-Con 2015 Panel. 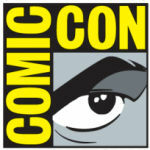 Stay tuned to this post as we have more info from Comic Con we will share it here! Chester’s Mill is a scary place, full of ladders and fires, Under the Dome! Christine is baiting legal troubles, Big Jim and Julia may finally REALLY be on the same team. 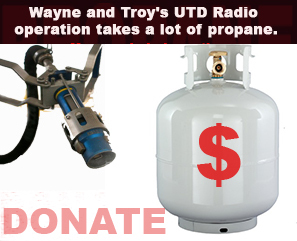 Wayne and Troy are going to make sense of it all, with help of YOU, the Under the Dome Radio listener community. Buckle up for “The Kinship”. Wayne and Troy share initial reactions to “The Kinship” as we debate if cattle feed really is food, and how many men will Christine really have in her life… or just this week! Things are getting dangerous, in Chester’s Mill, Under the Dome! Christine is trying to control everyone, Big Jim is the one person with good sense, but have not fear. Wayne & Troy are going to make sense of it all, with help of YOU, the Under the Dome Radio listener community. Sit back and enjoy as we dissect “Redux”! Wayne and Troy share their initial reactions to season 3, episode 3, of Under The Dome, “Redux”, and ask some big questions about the episode! The Dome is down? The Dome is up? What is going on in Chester’s Mill? Get the details about the Season 3 Under The Dome Premiere “Move On, But I’m Not”. We talk about Cocoons, how to be a true black widow alien, and whether or not there is anything really good on TV anymore. Plus give all the latest updates on Barbie, Julia, Big Jim, and the rest of the Scooby gang. 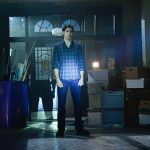 Wayne and Troy share their initial reactions to the 2-hour season 3 premiere of Under The Dome, “Move On; But I’m Not”, and ask some big questions about the episodes! 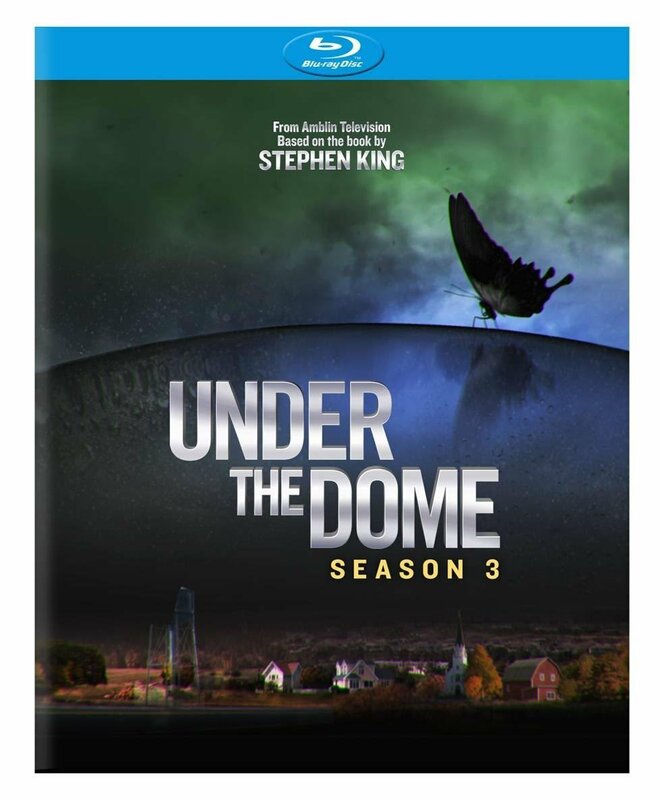 On this Under The Dome Season 3 Podcasters Roundtable, we join five other podcasters previwing the upcoming season which returns Thursday, June 25th on CBS. Under the Dome Radio is returning soon for season 3 of CBS’ Under the Dome. This is our parody promo highlighting the fun Wayne and Troy will have. 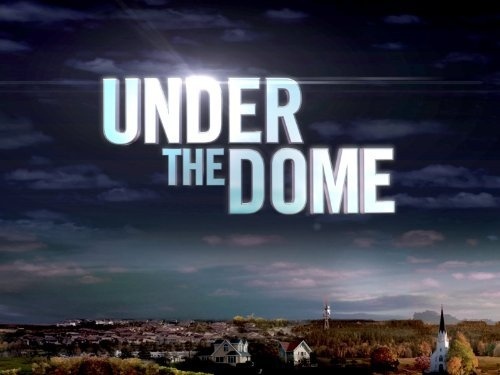 Under the Dome Radio listener feedback discussion for episode 2.13 “Go Now”. Call (904) 469-7469 to be included in our next episode. Wayne and Troy’s initial reactions to Under the Dome season 2 finale, episode 2.13 “Go Now”. 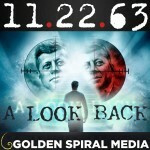 Call (904) 469-7469 to be included in the upcoming feedback episode. Under the Dome Radio listener feedback discussion for episode 2.12 “Turn”. Call (904) 469-7469 to be included in the upcoming feedback episode. Wayne and Troy’s initial reactions to Under the Dome episode 2.12 “Turn”. Call (904) 469-7469 to be included in the upcoming feedback episode. Under the Dome Radio listener feedback discussion for episode 2.11 “Black Ice”. Call (904) 469-7469 to be included in the upcoming feedback episode. Wayne and Troy’s initial reactions to Under the Dome episode 2.11 “Black Ice”. Call (904) 469-7469 to be included in the upcoming feedback episode. Under the Dome Radio listener feedback discussion for episode 2.10 “The Fall”. Call (904) 469-7469 to be included in the upcoming feedback episode. Wayne and Troy’s initial reactions to Under the Dome episode 2.10 “The Fall”. Call (904) 469-7469 to be included in the upcoming feedback episode. 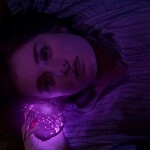 Under the Dome Radio listener feedback discussion for episode 2.09 “The Red Door”. Call (904) 469-7469 to be included in the upcoming feedback episode. Wayne and Troy’s initial reactions to Under the Dome episode 2.09 “The Red Door”. Call (904) 469-7469 to be included in the upcoming feedback episode. 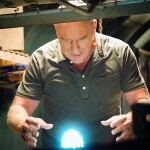 Under the Dome Radio listener feedback discussion for episode 2.08 “Awakening”. Call (904) 469-7469 to be included in the upcoming feedback episode. Wayne and Troy’s initial reactions to Under the Dome episode 2.08 “Awakening”. Call (904) 469-7469 to be included in the upcoming feedback episode. Under the Dome Radio listener feedback discussion for episode 2.07 “Going Home”. Call (904) 469-7469 to be included in the upcoming feedback episode. 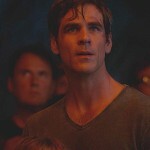 Wayne and Troy’s initial reactions to Under the Dome episode 2.07 “Going Home”. Call (904) 469-7469 to be included in the upcoming feedback episode. 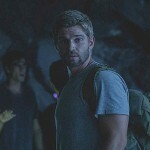 Under the Dome Radio listener feedback discussion for episode 2.06 “In the Dark”. Call (904) 469-7469 to be included in the next feedback episode. 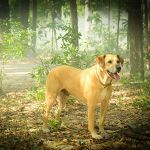 The Under the Dome Radio podcast listener community shares their feedback and theories for Wayne and Troy’s full-episode discussion of season 2, episode 5 of Under the Dome, entitled “Reconciliation”. Wayne and Troy share their initial reactions to episode 2 of season 5, “Reconciliation”, and ask for your feedback to (904) 469-7469) to be included in the full-discussion episode later this week. The cast of Under The Dome on CBS share thoughts on the rest of season two at the 2014 San Diego Comic Con event. 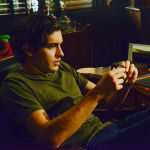 The Under the Dome Radio podcast listener community shares their feedback and theories for Wayne and Troy’s full-episode discussion of season 2, episode 4 of Under the Dome, entitled “Revelation”. 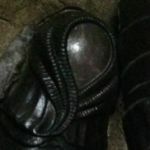 Wayne and Troy share their initial reactions to episode 2 of season 4, “Revelation”, and ask for your feedback to (904) 469-7469) to be included in the full-discussion episode later this week. Or visit https://underthedomeradio.com/feedback to leave a comment or upload a postcard of your own. 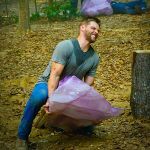 The Under the Dome Radio podcast listener community shares their feedback and theories for Wayne and Troy’s full-episode discussion of season 2, episode 3 of Under the Dome, entitled “Force Majeure”.